Hertz helped establish the photoelectric effect (which was later explained by Albert Einstein) when he noticed that a charged object loses its charge more readily when illuminated by ultraviolet light. In 1887, he made observations of the photoelectric effect and of the production and reception of electromagnetic (EM) waves, published in the journal Annalen der Physik. His receiver consisted of a coil with a spark gap, whereupon a spark would be seen upon detection of EM waves. He placed the apparatus in a darkened box to see the spark better. He observed that the maximum spark length was reduced when in the box. A glass panel placed between the source of EM waves and the receiver absorbed ultraviolet radiation that assisted the electrons in jumping across the gap. Through experimentation, he proved that transverse free space electromagnetic waves can travel over some distance. This had been predicted by James Clerk Maxwell and Michael Faraday. With his apparatus configuration, the electric and magnetic fields would radiate away from the wires as traverse waves. Hertz had positioned the oscillator about 12 meters from a zinc reflecting plate to produce standing waves. Each wave was about four meters. Using the ring detector, he recorded how the magnitude and wave’s component direction vary. Hertz measured Maxwell’s waves and demonstrated that the velocity of radio waves was equal to the velocity of light. The electric field intensity and polarity was also measured by Hertz. (Hertz, 1887, 1888). The Hertzian cone was first described by Hertz as a type of wave-front propagation through various media. His experiments expanded the field of electromagnetic transmission and his apparatus was developed further by others in the history of radio. Hertz also found that radio waves could be transmitted through different types of materials, and were reflected by others, leading in the distant future to radar. 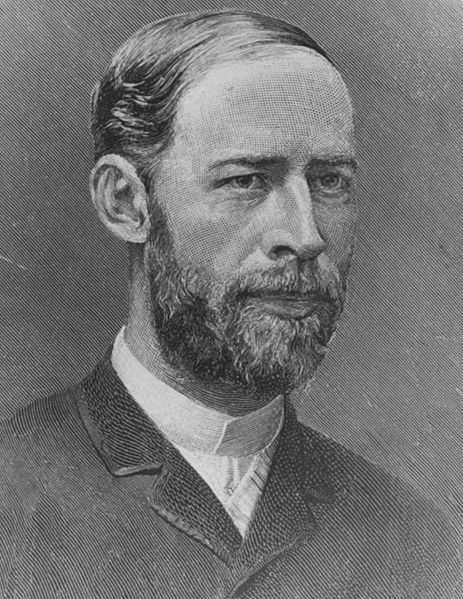 1 Response to "Heinrich Rudolf Hertz, (d. 22 Şubat 1857, Hamburg – ö. 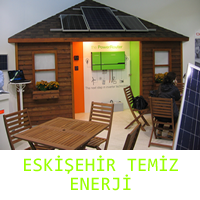 1 Ocak 1894, Bonn)"